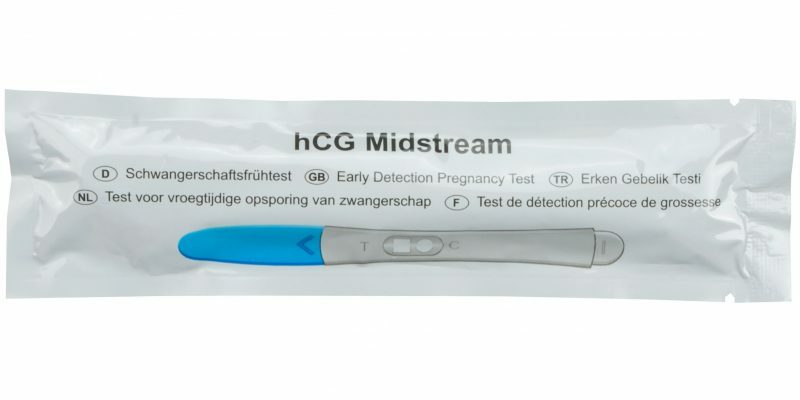 The YES or NO Early Detection Pregnancy Test is a rapid, lateral flow immunoassay in midstream format for the qualitative detection of human chorionic gonadotropin (hCG) in urine to aid in the detection of pregnancy. The test utilizes a combination of antibodies including a monoclonal hCG antibody to selectively detect elevated levels of hCG. The assay is conducted by adding urine to the hydrophil stick and obtaining the result from the colored lines.